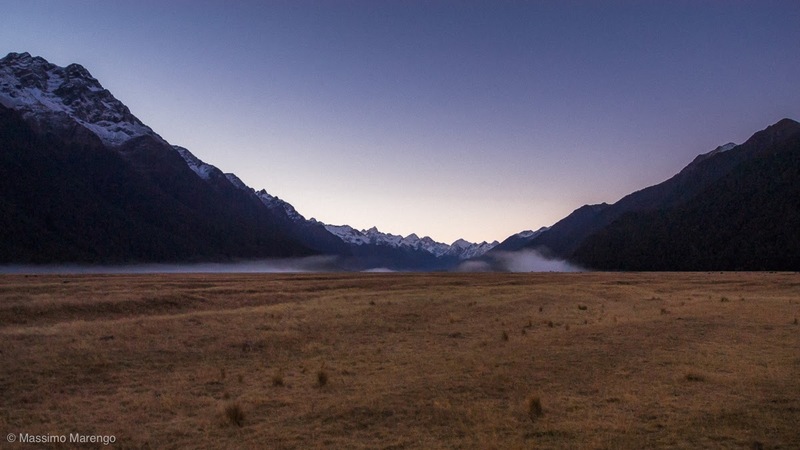 In total we spent two nights in Te Anau. The first night we visited the glowworm caves, and the second we recovered the photos almost lost in the "boat accident" at Milford Sound. In both cases we had been late for dinner, and survived on our daily fix of chips and fish at the local pub “The Moose”. You may ask: why anybody would want to name a pub “The Moose” in the New Zealand South Island? Well, we found the explanation in a journal framed on the pub walls: some people in Te Anau do believe that there are moose in the wild forests of Fiordland. The story goes like this. In 1909 the Canadian government agreed to capture 17 moose calves to be shipped to New Zealand. The 10 calves that survived the trip where then released at Supper Cove, Dusky Sound, in April 1910, with the hope to create a local population of moose to allow future big game hunting. This was the second time Canada actually agreed to give moose to New Zealand. A first attempt in 1900 failed when all the shipped animals, minus one female, died during the trip. The surviving semi-tame cow never left for the forest, frequenting for the next 14 years the streets of the local settlements. The calves of 1910, instead thrived in their new home, to the point that in 1920 hunting licenses were issued. Two animals were killed between 1929 and 1934, but in the subsequent years the moose were forgotten, even though there are records of other animals killed in the 1950s. In 1972 there was a survey attempting to quantify the size of the surviving population, but no animal was found, leading to the conclusion that the moose had gone extinct due to the competition with red deers (another imported species, that had multiplied beyond measure completely destroying the local forest ecosystem). In 2000 traces of a moose were found by two hunters, and DNA testing of recovered snagged hairs confirmed the moose presence. Despite this, the subject of current moose presence in New Zealand is still controversial (most people don’t believe it), and the naming of the pub after the fables animal looked more like a running joke. Still the fish and chips were good, the fireplace very welcoming after the cold wind in our Milford Sound boat trip. And the local beer was excellent, moose or no moose. 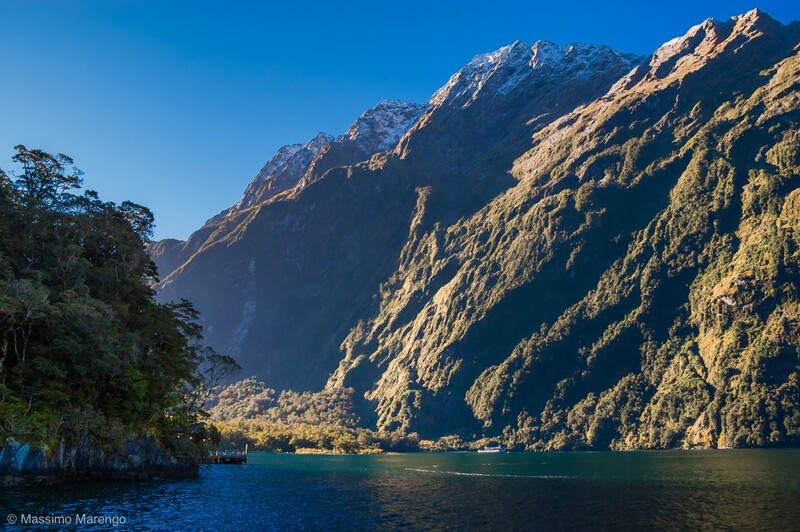 The fishes in the small photo below are Butterfly Perches, which are one of the many species living in the waters of Milford Sound. 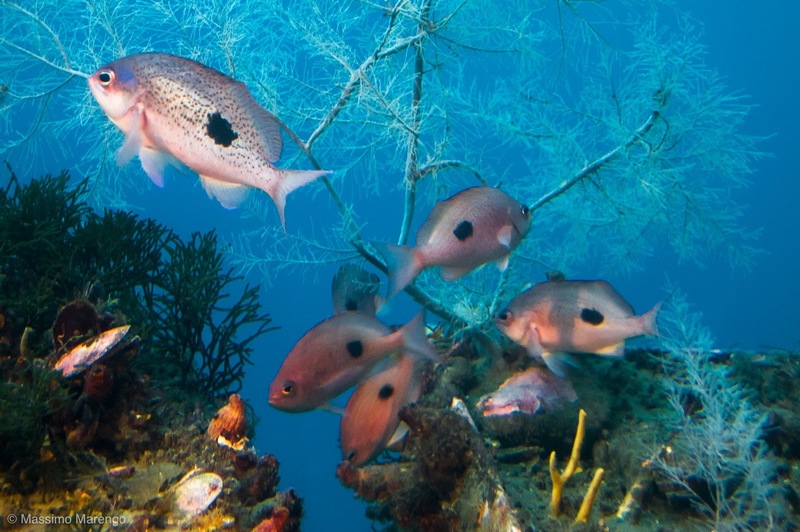 The white “branch” in the background is instead the very rare black coral (which is actually white, or bright colored, the black moniker due to the color of its skeleton). Black corals live only at great depths, but in Milford Sound can be found closer to the surface because of the unusual darkness of its waters. The steep walls of the mountains in the fiord are rich in vegetation, but lack soil. As a consequence, the rain washes all organic matters directly in the sound, which is rich of tannin. That makes the water very dark, and allows the growth of the black coral. The photo was not taken in an aquarium, nor we did scuba diving. We would have liked to (we even brought our masks along, but time (lack of) and a persistent congestion prevented that. Plus the New Zealand seas are quite cold all year round, and we were in winter. 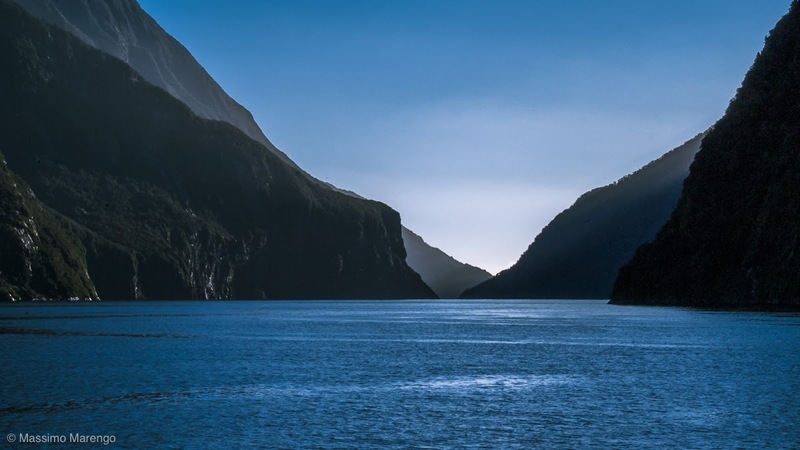 We however did see the marine life of Milford Sound in its natural setting. The Milford Discovery Center and Underwater Observatory is a floating cylinder of concrete that is immersed over 10 meters deep in the sound. From its windows 12 cm thick it is possible to see the wildlife as you would see it from the window of a submarine. The observatory (which is built like a floating “tank” and as such doesn’t have any ecological impact on the fragile ecosystem of the sound) is exactly the opposite of an aquarium: the wildlife outside the window is completely free, its the people that are stuck in a “air” tank.